A .63 carat madiera topaz glows from the center of this handsome 14K white gold engagement ring. 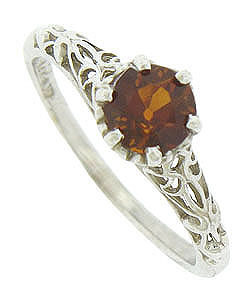 The cognac hued round cut stone is presented in a basket shaped center mount. Intricate organic cutwork vines adorn the rings shoulders. 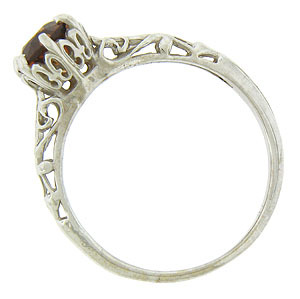 The ring measures 6.56 mm in width. Size 6 1/2. We can re-size.